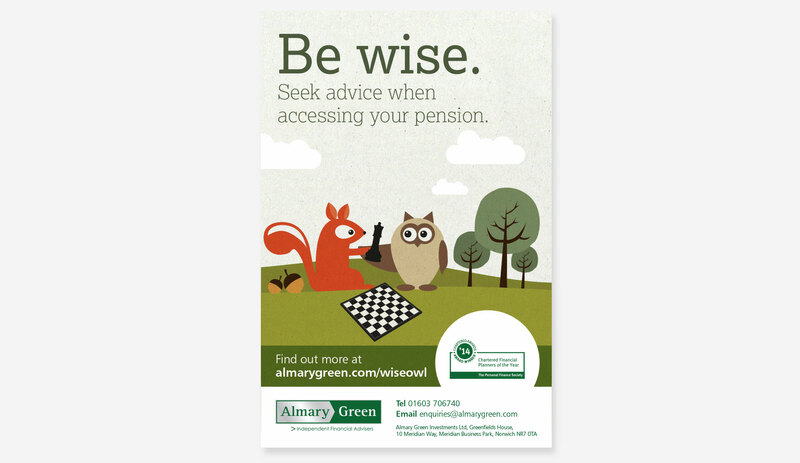 We have worked with Financial Advisers, Almary Green, for many years. We originally created an organic feel to their brand look, which fed into their advertising, through the use of animal traits to represent their services. Having ran the campaign for a couple of years, it was time to freshen it up. We both decided that the underlying themes worked and so we modernised our approach to incorporate illustration. 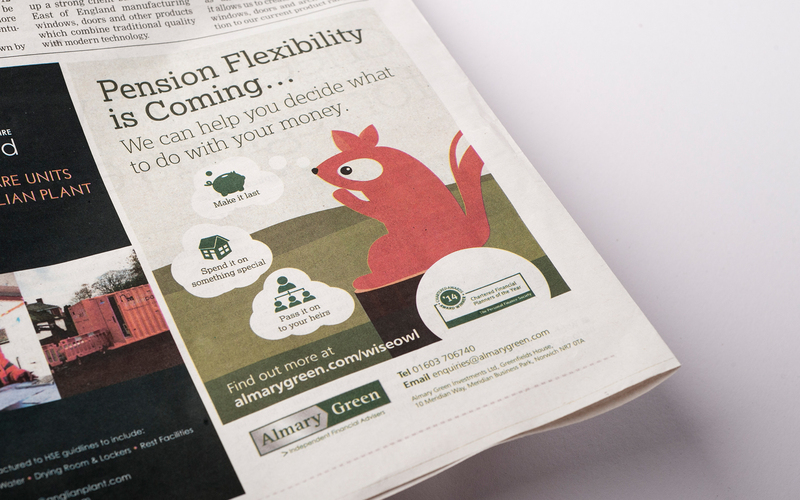 This provided flexibility in the aesthetic and content as well as bringing impact to Almary Green’s adverts. The first campaign to get the treatment was Pensions. 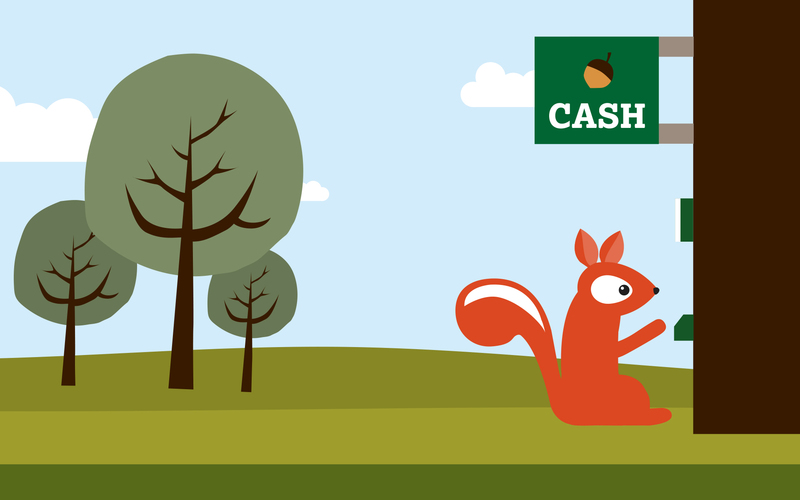 Since the new government changes to pensions seemed a little baffling to some customers, we thought that we would create an easy to digest animation demonstrating what these changes mean and how they affect the end consumer. 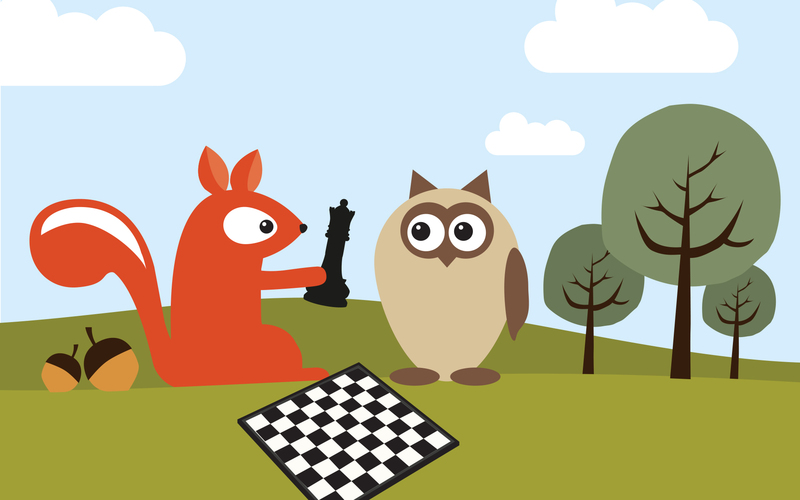 We created every element of “Owl & Squirrel’, from script to animation.